You don’t always need to go to the dentist (thank goodness), but when you do, you want to make sure that you go to just the right place. So, you go to the internet to search for a practice that’s perfect for you. Soon, you find that there are thousands of results, and no single practice seems to have everything you want. One practice takes your insurance, but they don’t have the services you need. Another one looks great, but it’s at least half an hour away. Fortunately, our dentist near Reston is less than 10 minutes away in Herndon at Virginia Dentistry by Design. We offer the comprehensive, convenient, and affordable dental care you need. Is it time for your regular dental checkup? Think you might have a cavity? Want to replace your missing teeth? Need to do something about your teeth grinding? No matter what you might need, our practice can provide it. Dr. Sonia Dilolli and our team work hard every day to deliver a wide variety of services at a level unmatched by any other practice. We’re always trying to improve ourselves so that we can provide high-quality dentistry for more and more people. We strive to form long, trusting relationships with our patients, and we’re able to do that because they know they can always rely on us. 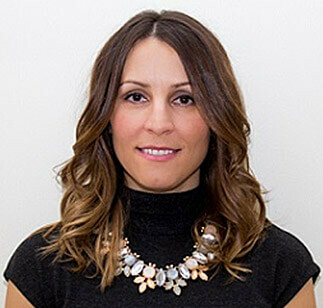 Dr. Dilolli chose to go into dentistry for one simple reason: she loves helping people. Beginning at the age of 12, her dream was to help people improve both their health and self-confidence at the same time. This dream has motivated her to attend some of the best dental schools in the country and frequently seek out continuing education courses. Also, she’s made sure to choose a team that has the exact same motivation as her. When you come to our office, you can trust that every person you see is working hard to give you the best dental experience possible. Many, many people feel anxiety when it comes to visiting the dentist. We can attest to that fact because we treat nervous patients every day. We completely empathize with these patients, and we never judge them for feeling this way. Rather, we do everything we can to help them feel calm, cool, and relaxed during their appointment. 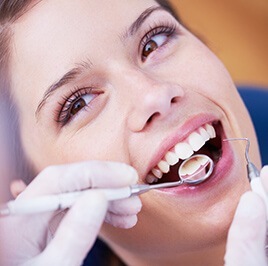 In addition to creating a warm and welcoming environment, we can also offer them something called sedation dentistry. With these techniques, we can protect our patients from discomfort while calming their nervous thoughts at the same time. For many, the stress associated with dental care has little to do with what goes on in the treatment chair, but rather the cost of the care itself. Too many people feel like they simply can’t afford quality dentistry, and most practices do very little to help them. We believe that excellent dentistry should come at an excellent value, which is why we always work with our patients to make sure their care fits easily into their budget. We accept most PPO insurance plans, we can help you get low to no interest financing, and we even offer our own in-house discount plan that can give you all the benefits of insurance without any of the restrictions or hassles. "I want to help everyone smile with confidence." Your Reston dentist earned a bachelor’s in biology from the University of Texas at Austin and studied dentistry at the Texas A&M Baylor College of Dentistry. With years of experience in dentistry, Dr. Dilolli is passionate about creating beautiful smiles and strives for true excellence in the field. With a firm belief that visiting the dentist can be a relaxing, stress-free experience, Dr. Dilolli works to create a calm environment at Virginia Dentistry by Design. She personalizes all treatment plans on the basis that every smile is unique. Dr. Dilolli invests significant time in continuing education opportunities and is currently pursuing a fellowship with the Academy of General Dentistry and the International Congress of Oral Implantologists. When she is not practicing dentistry, Dr. Dilolli loves to stay active exercising her body and mind. She has two girls, Olivia and Mara, and lives with her family in Reston. We are right at the corner of Elden St and Fairfax County Pkwy. To get to us from Reston, all you need to do is head north on Fountain Dr and take a left on Baron Cameron Ave. Our office will be on your right just after Fairfax County Pkwy. Or, you can just take New Dominion Pkwy to Fairfax County Pkwy and head north until you take a left on Elden St. We’ll be immediately on your right! 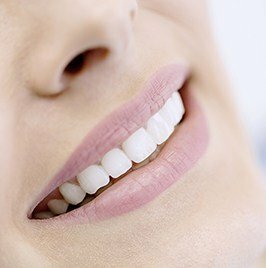 When you come to Virginia Dentistry by Design, you’ll have access to an array of services that will help you achieve a beautiful, healthy smile and keep it that way for a lifetime. We can provide everything from basic preventive care to complex restorative services. All in all, you can always trust that we’ll have everything you need now or in the future. With these services, we’ll be able to stop many dental problems before they even start! With checkups, teeth cleanings, and more, we’ll make sure that your smile is always fresh and healthy.  A beautiful smile can completely change a person’s life, and that’s exactly what our cosmetic services can give you. Whether you just want to whiten your teeth or completely transform your look, we can do it! If you have a broken or decayed tooth that is bothering you every day, these services can help. With just one or two appointments, we can make your smile look and feel like new again. 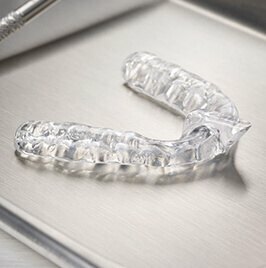 Want to straighten your teeth without getting braces? We have a multitude of other options that are perfect for patients of all ages, including Invisalign and even instant orthodontics. If you have missing teeth, we can give you the most state-of-the-art tooth replacement solution available today. 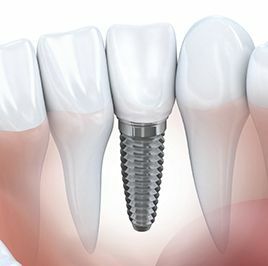 With dental implants, we can rebuild your smile to last a lifetime. Do you have chronic jaw pain or grind your teeth at night?  We can help you find the root cause of your problem and relieve your pain right here using a simple, custom-made mouthpiece. Did you know that chronic headaches can often be caused by a misaligned or strained jaw? Your TMJ, or temporomandibular joints (the hinges located in front of your ears) can often the source of a lot of unaccounted for pain. 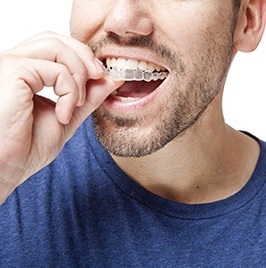 A simple custom-made mouthguard could be all you need to get complete relief, and Dr. Nelson Y. Howard can provide you one right here in Rancho Bernardo. If you or a loved one experiences a dental injury, you can always rely on our team to be there to provide fast and effective urgent care. If you’re concerned about the cost of your dental care, you’re far from alone.  We believe that quality dental care should never cause a financial burden, which is why we offer a number of convenient payment options that can work for any patient. We proudly accept most major PPO dental insurance plans. If you’d like to know how we can work with your specific plan, be sure to contact us today. If it would help to break up the cost of your care into smaller monthly payments, we can help you get low to no interest financing with CareCredit. If you currently do not have dental insurance, there is another way you can make your dental care more affordable. When you sign up for our In-House Discount Plan, one flat fee will cover a year’s worth of preventive care at a significant discount. Also, it’ll even give you 20% off of many other dental treatments.  With our plan, you get all of the benefits of dental insurance without any of the restrictions, such as annual maximums, deductibles, copays, or waiting periods. As you can see, we take dentistry very seriously. We do everything we can to make sure our patients have whatever they need and that they always walk out of our office with a healthy, gorgeous smile. When it comes to a complete dental experience, we truly believe that we’ve designed the best. If you have any questions about our practice, our services, or if you would like to schedule an appointment, please contact our office today. We can’t wait to meet you!